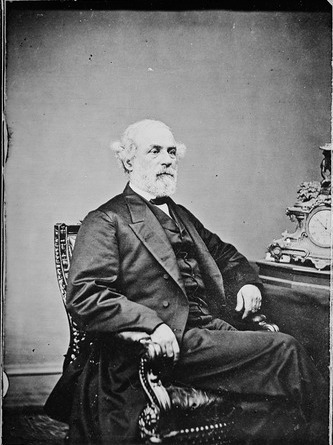 Robert E. Lee was a distinguished Confederate general in the Confederate Army who bravely led his troops against the Union army until his defeat at the Appomattox courthouse in April of 1865. 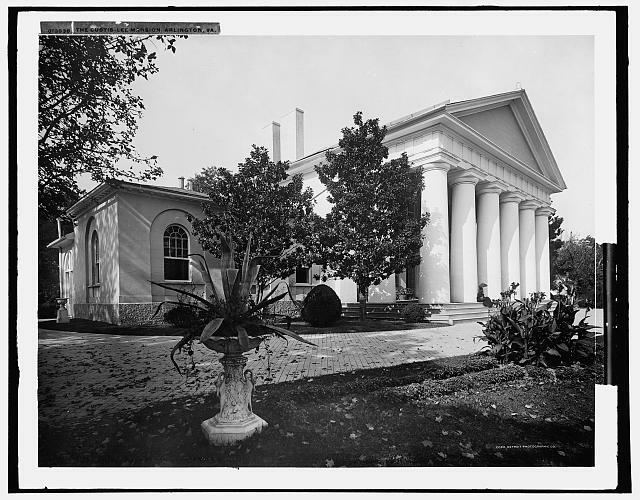 Lee was born into a wealthy, prominent Virginia family on January 19, 1807 at Stratford Hall Plantation. His father, Henry Lee III, was a distinguished Revolutionary War soldier who earned the nickname “Light Horse Harry” while fighting under George Washington and Nathaniel Greene and later went on to serve as a congressman and governor of Virginia. After Henry lost all of his money on a bad land deal, ended up in debtors prison, was beaten during a political riot and chased after by his creditors, he skipped out on his bail, as well as his family, and sailed for the West Indies. He never returned. After depleted finances and a shameful scandal involving Robert’s brother brought shame upon the Lee family in 1820, Robert decided to join the military. A few years later he was appointed to West Point Academy where he excelled at his studies and was a model student. After graduating in 1829 and joining the Corps of Engineers, Lee married Martha Washington’s great-granddaughter, Mary Anna Randolph Custis, with whom he had seven children. Lee served in the Corps of Engineers for 17 years before the Civil War broke out. Although a southerner, he did not believe in secession and hoped his home state would stay within the Union. 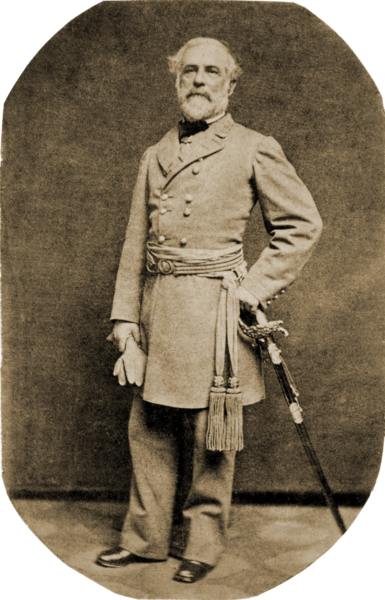 Lee faced a difficult decision when Virginia seceded and Abraham Lincoln offered him command of Union troops. Lee accepted a position as commander of Virginia’s troops and although his lacking leadership skills led to many military defeats, risky campaigns and casualties, he was also noted for his improvisational skills, hands-on role on the battlefield and bravery. Under Lee’s leadership and with the help of Stonewall Jackson, the Confederates won the Battle of Harper’s Ferry, where Lee had also thwarted John Brown’s raid in 1859, yet suffered a crushing blow a few days later when his troops lost the battle of Antietam and Lincoln used the moment to announce the Emancipation Proclamation, wiping out the Confederate army’s chances of obtaining foreign aid. As the war raged on, Lee’s reputation as a military leader grew but he continued to suffer military setbacks, particularly at the battle of Gettysburg where his poorly-organized attacks against the Union army resulted in a tremendous Confederate loss. He admitted his failure when he told his men “It is all my fault,” before they began their long retreat. Lee finally surrendered after he and his troops, weakened, outnumbered and under-supplied, found themselves cornered at the Appomattox courthouse after a battle there on April 9, 1865. Lee returned to civilian life after the Civil War ended but found life in the reconstructed south difficult. Penniless because his property in Arlington had been confiscated during the war for use as a military cemetery, Lee took a job as a teacher at Washington College. Still bitter over the military defeat, he spent much of his time writing angry private journals and advocating against civil rights for freed slaves and black citizens. Lee began to regret his military career and told a friend that joining the military was the “great mistake” of his life. He died suddenly of a stroke on October 12, 1870 and was buried in the Lee Chapel at Washington and Lee University in Virginia. 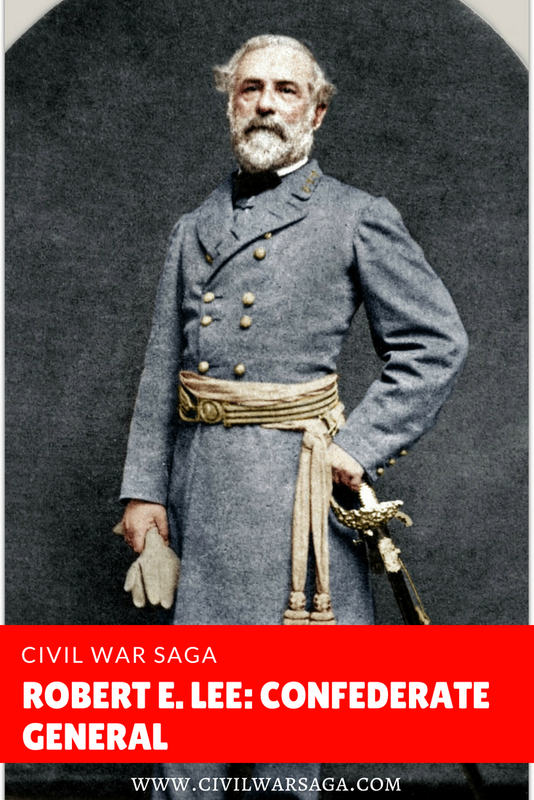 If you want to read more about Robert E. Lee, check out the following article about the best books about Robert E. Lee. I think that is not possible to criticize Lee’s ability as a general. He is considered the best eighteenth century general after Napoleon. Even if he made some errors he succeeded in defending the confederation from the largest nothern armies as long as the south had men and weapons to oppose them.